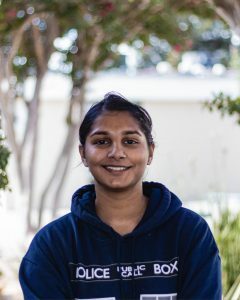 Akshita (11) is a staff writer for her first year in The Voice. Her favorite part of being on The Voice staff is writing articles and the free food. You can usually find her reading fantasy books or watching tv shows instead of doing her actual work. If you mention Hamilton, certain book titles, or her dog, she will never stop talking. So don’t do that.